The harbour in Kuwait. Dhows are on the water. 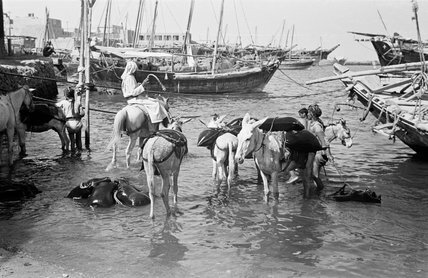 In the foreground water-skins are loaded onto donkeys.